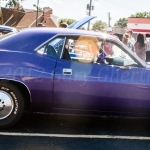 In 1972, Terry’s roommate moved out and she needed a car. 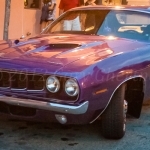 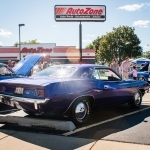 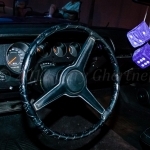 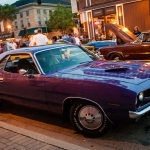 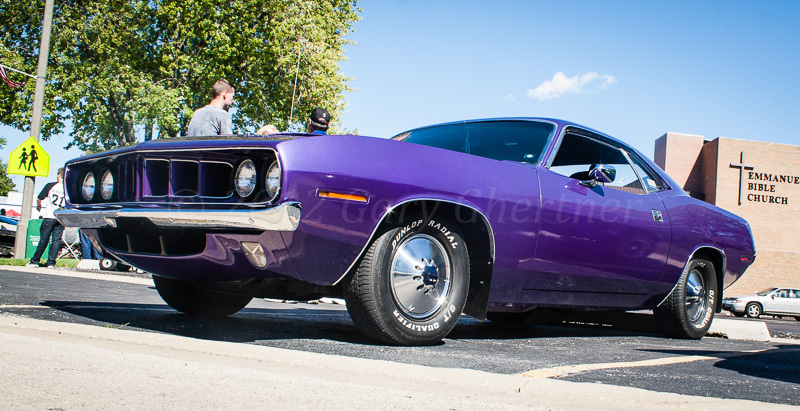 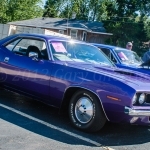 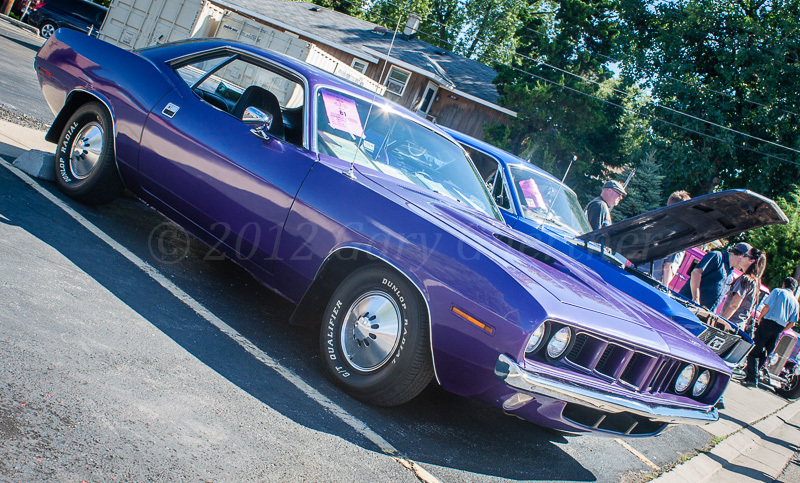 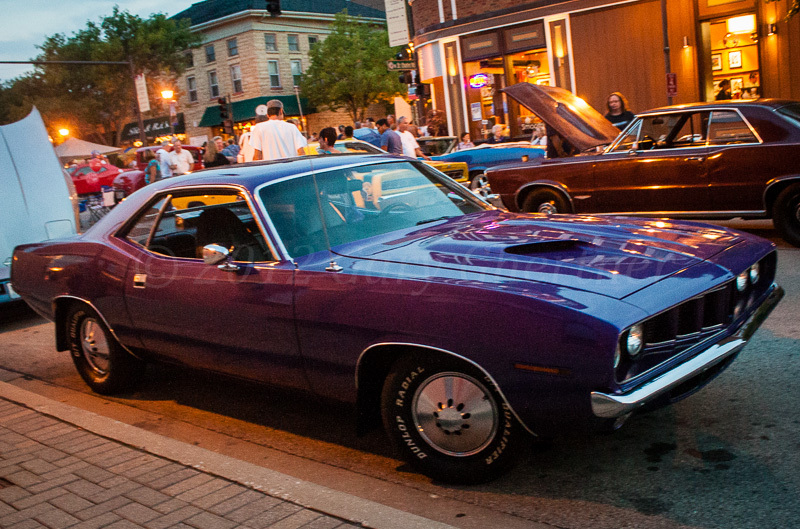 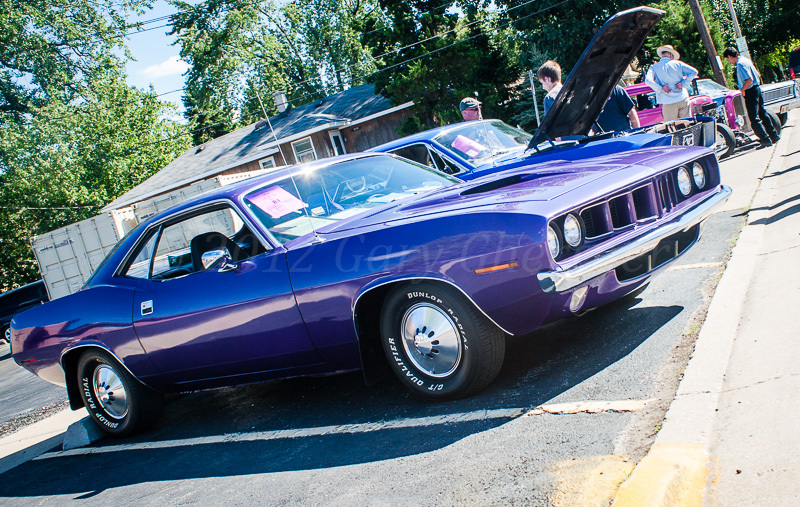 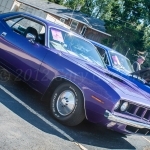 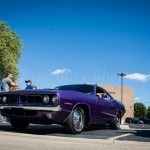 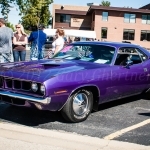 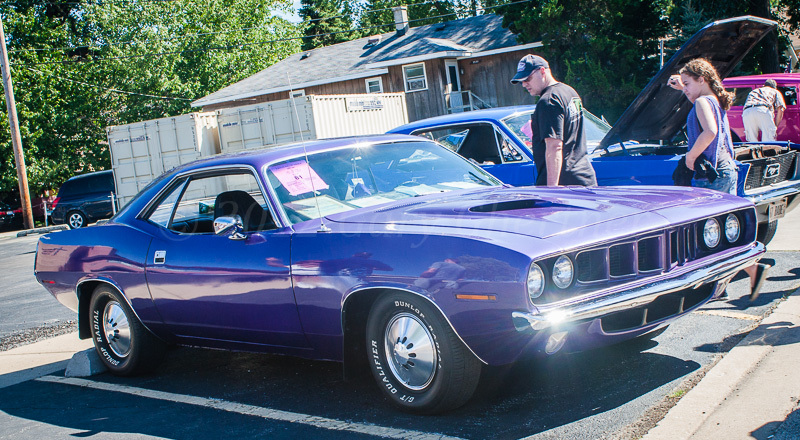 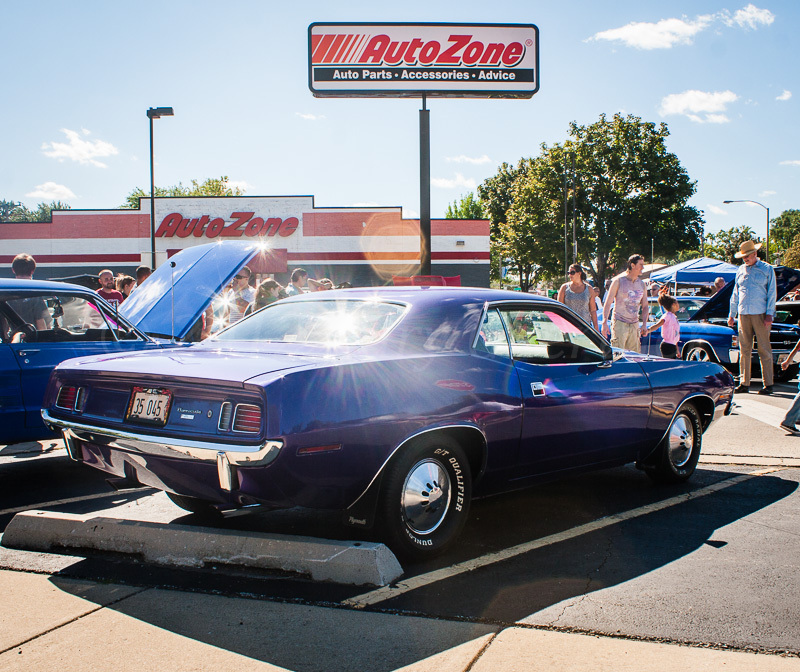 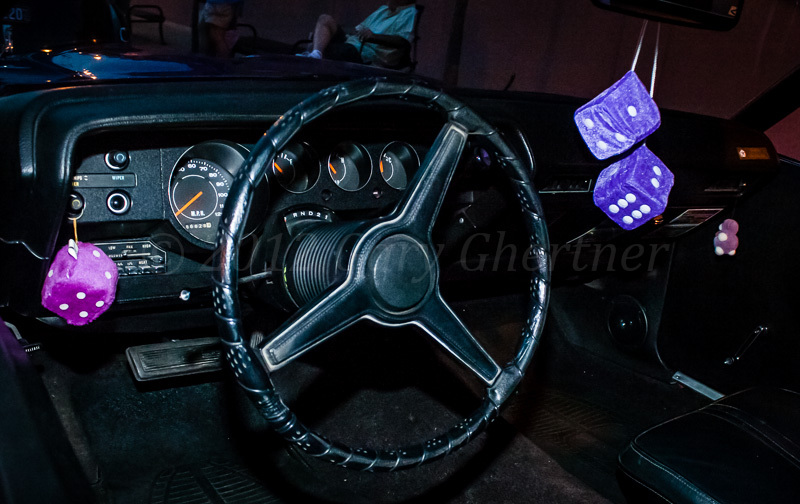 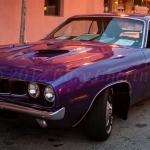 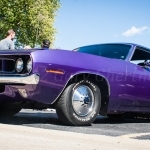 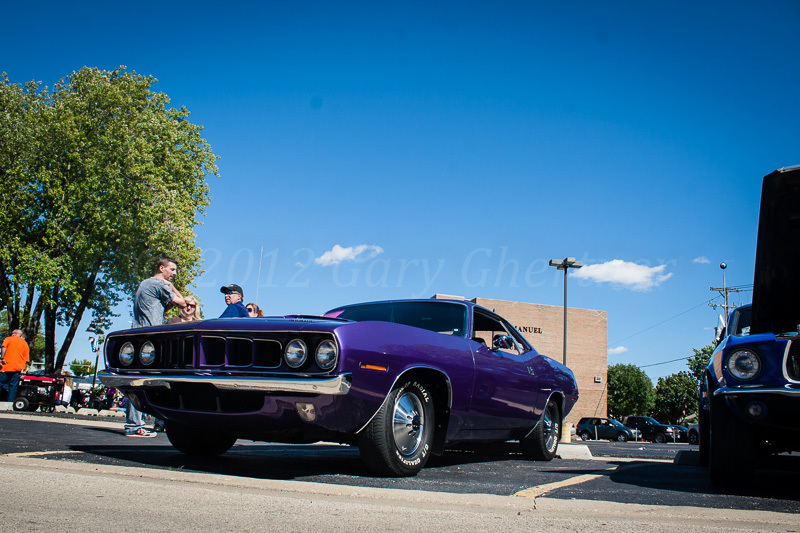 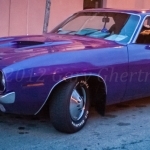 The day after she got her driver’s license, she went to Cicero Chrysler Plymouth at night and bought a ‘black’ Plymouth Barracuda; only after she woke up the next morning did she discover it was deep purple but she liked it. 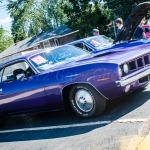 This is not a ‘cuda; it’s a tamer automobile with a base model 318 cubic inch V-8. 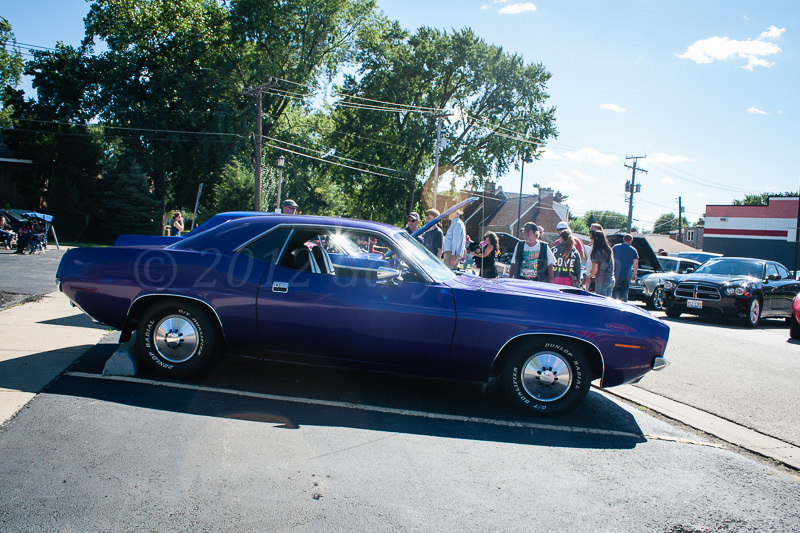 It is all original except for having been painted the same color twice, the first time in 1987 by Maaco. 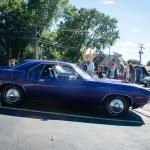 It was an everyday car for Terry and Elliot (after 1977 when they married) until 1987 when it became a show car. 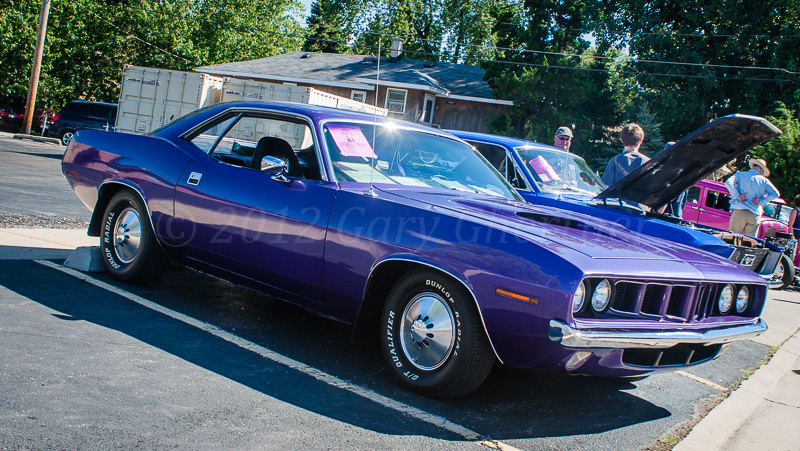 In 1980 a baby came along and Elliot tried to sell it for $ 500 but got no offers so they kept it. 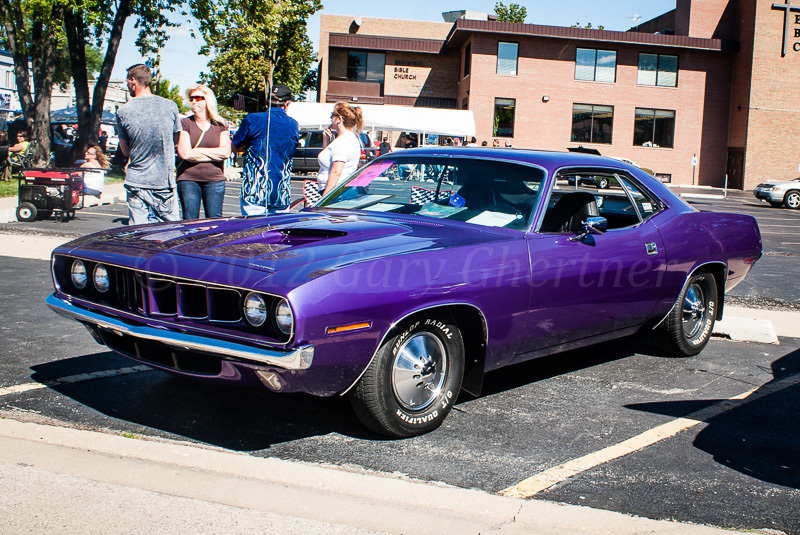 Terry’s Barracuda was built with the transition to unleaded fuel engineered in so it has hardened valve seats and can run on today’s unleaded gasoline.